The pursuit of excellence in sport depends on four key facets of performance, namely physical, technical, tactical and mental skills. However, when physical, technical and tactical skills are evenly matched, a common occurrence at elite level, it is the performer with greater levels of mental toughness that seems to prevail most often. mental toughness in other human performance settings, from business to coping and life skills. 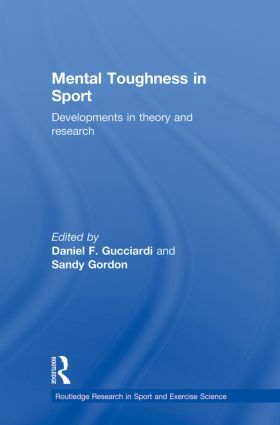 Also highlighting important avenues for future research, Mental Toughness in Sport is essential reading for all advanced students, researchers and practitioners with an interest in sport psychology or performance sport. Daniel F. Gucciardi is a Postdoctoral Research Fellow in the School of Human Movement Studies, The University of Queensland, Australia. Sandy Gordon is a Professor in the School of Sport Science, Exercise and Health, The University of Western Australia, Australia.